Before I tell you what I think of Tyler’s book, let me explain why I find him so utterly fascinating. When I was a little older, I had an imaginary friend named “Poker”. He and I had conversations. A lot of them. I wrote a blog about Poker: https://seletyn.com/2016/12/05/playing-poker-my-imaginary-friend-personalhistory-48in48/. He was my friend and went with me everywhere. I have a vague memory of him (not what he looked like but what it felt like to be around him). During our “time together” he was as real to me as you are, sitting here reading this blog. When I was 16 and my Pawpaw was at the end of his life, I was asleep in my bed. In a dream there was a man who delivered a message to me and woke me from a solid sleep. The man was walking up the incline of the road in front of my (then) home. The dream reminded me of the scene in Coal Miner’s Daughter when Loretta Lynn is looking out at the field and she sees a vision of her Father calling to her and it ended up being the neighbor with the phone who received the call about her Daddy. The man in my dream was dressed in slacks and a white long sleeve button down shirt. He had hair reminiscent of Clark Gable, dark with that definitive part down the side and combed in the same manner. In the dream, I looked at him through the bedroom window and although it was closed and he was at a bit of a distance away, I could hear his words as if he was standing next to me: “Get up, it’s time.” And I immediately knew he meant my Pawpaw. Within hours my beloved Grandfather was gone. When I was 20, that man reentered my dreams to tell me Mawmaw was leaving us. His simple words: “It’s time again.” woke me again from a dead sleep. His words were once again spot on. In the mid 1990s, I was mowing the grass in my front yard when I was attacked by a hummingbird. I swatted at it as it dove at me time and time again. It was the most unusual thing to happen but I was too busy to pay it too much attention and went about my chores that day and put it out of my mind. A few days later a local radio station had a woman on who was talking about guardian angels and how we all have them. They asked for callers and I thought it would be fun and an interesting conversation piece to call in. As soon as I was on the phone with the hosts and their guest, I barely said “hello” before the woman abruptly cut me off and said, “Quit trying to kill your guardian angel.” I sputtered and said, “Excuse me?” She then said, “She comes to you as a hummingbird and you keep trying to kill her.” Well, that was awkward… I jest but in all reality there was no way she could have known about the incident that occurred a few days earlier. For more than a year now, since Daddy passed away, I will catch movement along my peripheral and when I turn to look more closely, I find nothing there. I like to think it is him, watching and guiding. 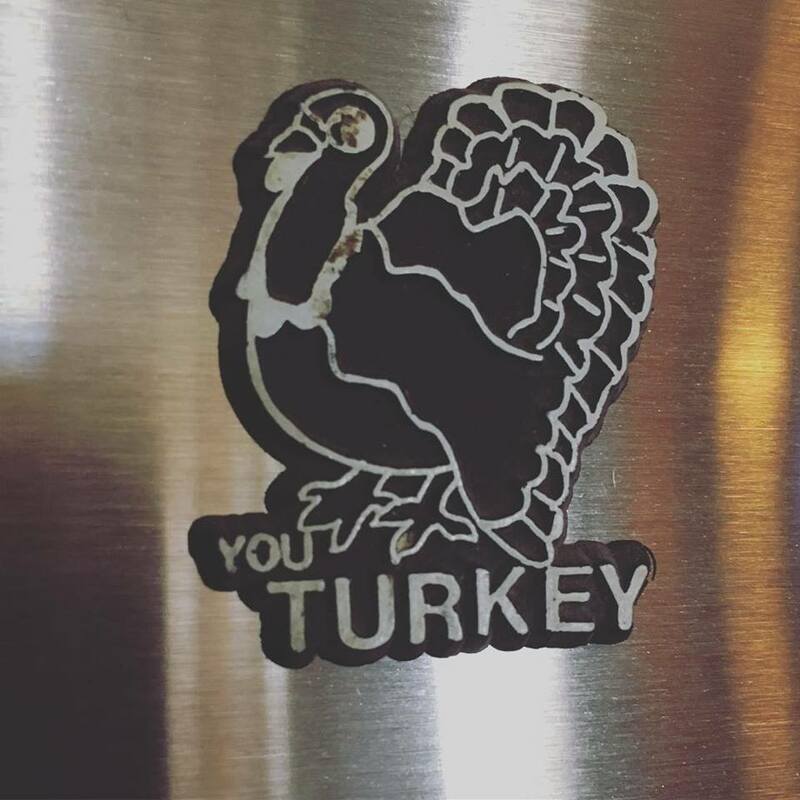 This past week, celebrating Thanksgiving and missing my Parents something fierce, I moved a box of their papers in my basement and underneath I found a magnet shaped like a turkey that I had never laid eyes on before. I felt that it was my Parents’ way of telling me Happy Thanksgiving. Ma passed in 2010 and it has always frustrated me that I did not “feel her close to me”. We shared a difficult relationship while she was alive and so I always attribute that to the vacuum I feel with her absence. There are also times that I see faces in tiles. That is an odd statement, I know, but I am leaving it at that. Call me silly but, I like to believe that all of those stories above tie back to the possibility of my loved ones still being connected to me after they have left this world. All of that brings me up to date and to Tyler. I happened to stumble upon Tyler Henry Hollywood Medium one day and decided to watch an episode. I enjoyed the way he brought resolve to the people he spoke with. I love the idea that we are still connected somehow, it gives me comfort (although it makes me feel selfish sometimes to want to hold on). The way he validates his interactions – it opens up possibilities for me and I am totally fine with catching grief from friends and family who might poke fun because I believe it. I truly love this book. 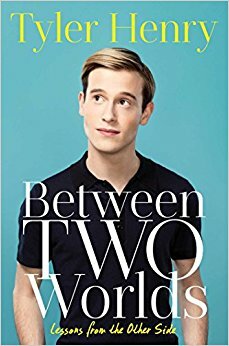 It gives me insight into how Tyler Henry found his voice as a medium. I have watched the show enough to read the book and hear it (in my head) in Tyler’s voice. I like taking notes as I read a book, reminders of things I want to look up or blog about. It was not until halfway through the book that I wanted to set it down to jot a note about how much I enjoyed his use of the word “synchronicities”. Those are events, similar to coincidences, that act as messages from a person’s guides or loved ones. It made me wonder (reference the stories above), do I have these synchronicities? I like to think “yes”. He also called the acts serendipitous. Serendipity is one of my favorite words and I believe it to be underused in literature. Being forced to face the mortality of my Dad and holding his hand as he passed away in my sunroom, it is comforting for me to think that life does not end abruptly at our death. Tyler’s book is well-written and very easy to read. He comes across as open and honest and from his heart. He has such an experienced adult view of the world for someone who is only 20. The book left me with a million questions and hopes of maybe seeing him live one day and being singled out in the crowd with a message from my Pawpaw. If you are open-minded or are open to the concept of clairvoyants, I HIGHLY recommend this book to you. I loved reading it and would love to hear your take on the subject (and Tyler). If you have read it and have opinions, please let me know in the comments below. From the About Tyler tab of Tyler’s website: “Tyler Henry (born January 13, 1996) is a teen clairvoyant medium originally from central California. Born with a unique gift, Tyler has helped countless people acquire closure, comfort, and proof that consciousness transcends physical death. Working as an evidential-based medium, his ability to provide specific, detail-oriented specifics has allowed him to share what he sees with medical professionals and missing person cases. As Tyler’s grandmother was terminally ill with cancer in April of 2006, he began having strong intuitive hunches that would later turn into a series of profound visions that proved to be true. After a series of life changing events (including a near death experience), Tyler’s passion, calling, and life purpose has been to bring clarity, closure, and evidence to those he is privileged to read. I am glad this is the first of 50 books I will read over the next 2 years. It was a great way to start a personal challenge. Personal History: The List – So long 40’s! Hello Old Folk Discounts!